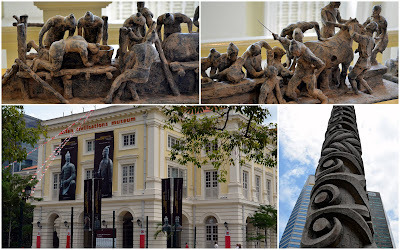 I have been told mixed reviews on the museums of Singapore, some good, most not-so-good, but I have seen advertisements for the Terracotta Warriors The First Emperor & His Legacy special exhibit at the Asian Civilisations Museum near Clark Quay and really found it intriguing. I have seen movies, but never connected the stories to real life. It all happened so long ago, it doesn't seem real to me. 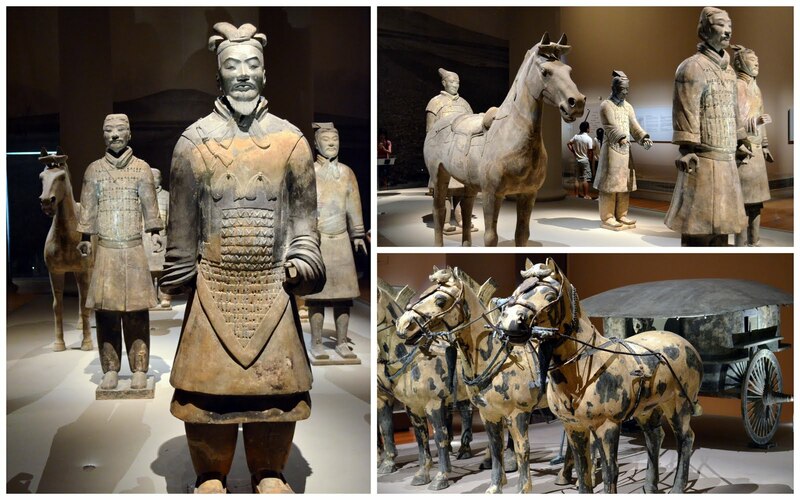 The Terracotta Warriors were only discovered in 1974 and are still being unearthed. 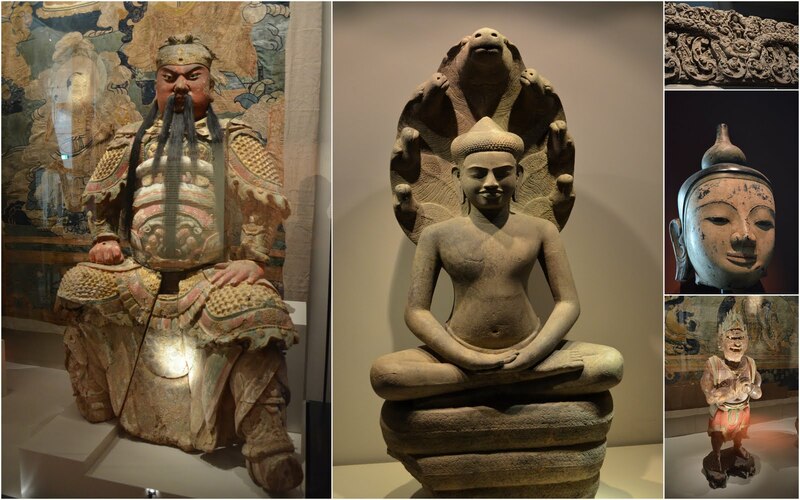 It's pretty amazing to think that these terracotta statues have been buried for nearly 2,200 years. The First Emperor ordered 700,000 workers to build a terracotta army to guard his after-life and be burried near his tomb around the year 246 BC. The First Emperor, who lived from 259 to 210 BCE, became King at the ripe age of only 13. He later united China. 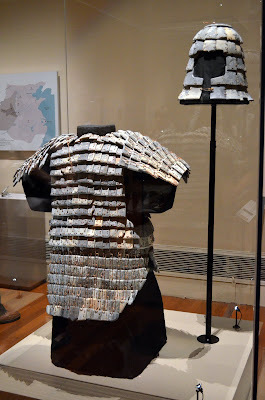 When he died, his dynasty quickly collapsed and the Han Dynasty took power by 202 BCE. Is this for real?!?! People actually DID live that long ago?! I thought it was just a movie made by Hollywood. The legend of the First Emperor was that he was corrupt, but the discovery of these Terracotta Warriors, near his tomb has made historians reconsider. The Chinese believe that the dead, should be buried with objects that they needed during life, believing they will still need them in their after-life. They are now finding that along with the 3 pits of about 8,000 terracotta soldiers buried, also being unearthed are real weapons they used, armour made of limestone, and chariots made of bronze, jades ~ AMAZING! Who builds a tomb so substantial, sophisticated and gives himself an entire army for his after-life? 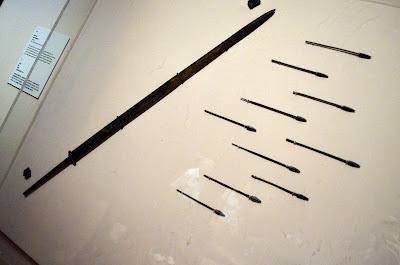 Some of these items are on display at this museum and they look like they could still be used today. The craftsmanship is so detailed and after 2,000 years of being buried, the artifacts were preserved so well. 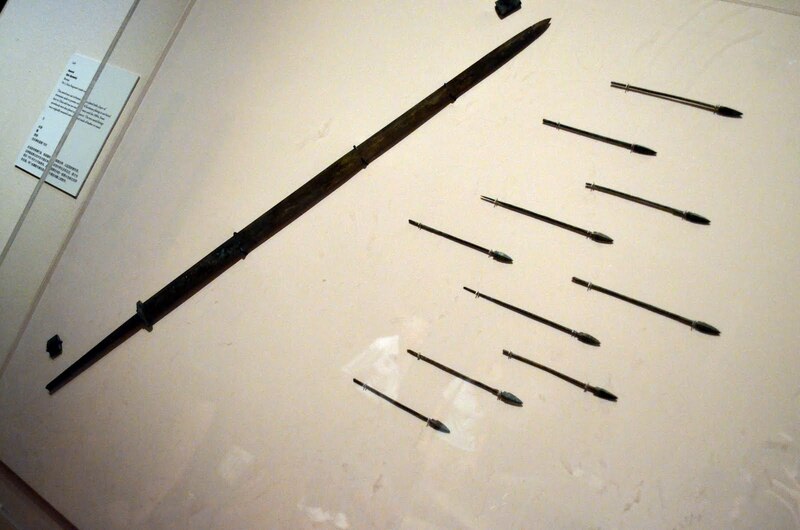 Crossbow arrows unearthed from the tomb﻿. Look at how small they are! The courtyard we look over. 2-weeks after we arrived in Singapore, people assumed I was moving out of our Serviced Apartment to a more permanent home. Whether a condo/flat or an actual single-family house, they didn't really care or ask. Little did they know (because nobody asked), we were actually on our way to another Serviced Apartment, because the first one didn't work out. We have been in our 2nd Serviced Apartment for just over 5-months already and wow! does time fly! It's been a rollercoaster ride, but I finally feel content staying in a Serviced Apartment for our two-year assignment in Singapore. It's so easy! I didn't have to find a helper (it is very common to have a live-in helper here), didn't have to find furniture to fit into a new home, I didn't have to worry about finding all new kitchen appliances with the correct electrical adaptors and most of all I didn't have to worry about getting along with our neighbors. We unpacked our suitcases, in the small closets and we were pretty much set and relaxing on our nice roomy terrace! Although, at the time, it was not that easy. Of course we had a few hiccups, like requesting a new mattress, so I could actually sleep and by the 3rd or 4th mattress, they finally got it right :-) I'm not picky about alot of things, but my bed has to be right! People were telling us, we were crazy to stay in a Serviced Apartment for the duration of our stay, but we didn't have a choice. The company had a policy that any assignment 2-years or less, stays in a Serviced Apartment. That policy has recently changed and we may be up for a new home search, but at this time, I'm not sure I want to. We would have to start all over and find furnishings for a place, that I wasn't prepared to look for. I meet new people every month. This has been the hardest adaption to make. People are constantly changing - coming and going. As if we haven't already had enough changes, but I think this is just Singapore in general housing so many expats. 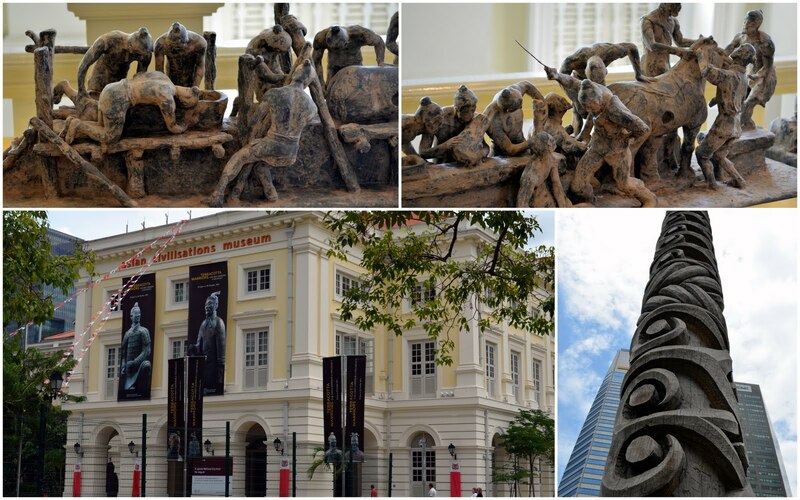 Some on their way out of Singapore, but most coming in search of a more permanent home. The kids meet friends and just when they can finally pronounce their name, they move. Although, I love watching them interact with the new kids in town! Most speak English, some as a second language and some speak absolutely no English. Watching the little minds try to communicate with another little person that can't seem to understand what is being said, is very entertaining! They go through the typical steps of meeting someone, What is your name, do you want to play, do you want to go down the slide with me, etc, etc...but when the new little person keeps the blank look on their face, they begin pointing and nudging and using baby sounds. Huh? So, that's how a baby feels! 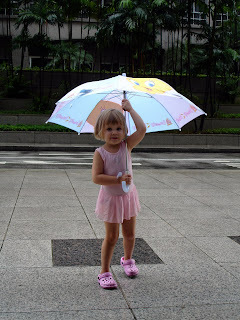 One of Little Miss M's friends moved out of our Serviced Apartment building a few weeks ago, after about a month of playing and laughing together every morning after breakfast. Thankfully, he is still in walking distance, so he hasn't completely vanished. 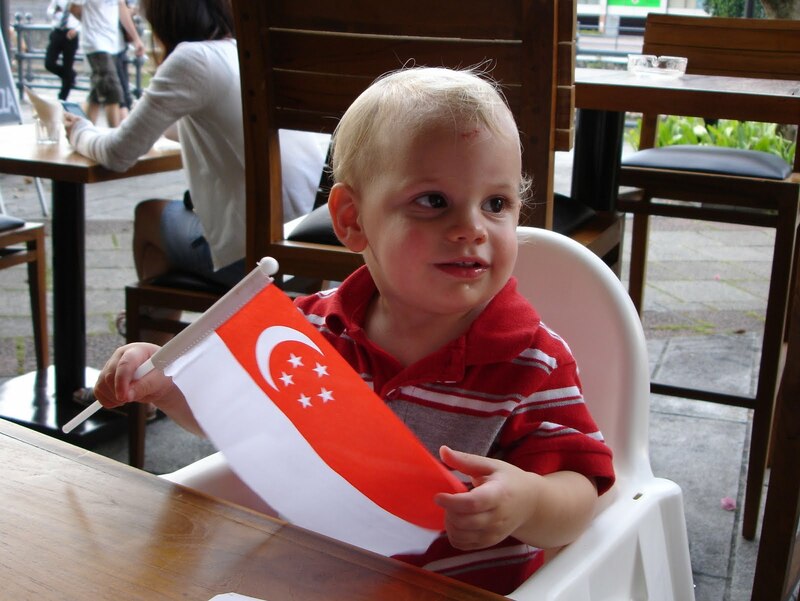 He moved here from Switzerland and upon moving here, spoke only Swiss-German. We saw him a couple days ago and I was amazed by the English he has already picked up! Sponges, learning from other children! Where am I going with this??? Oh yah, Serviced Apartments...So ~ true, the space is less, than we are used to having , but we just don't keep as much stuff and we have adapted to the smaller space. True, you can not decorate with your own style, but I have added personal pictures that make the space more homey. True, there is absolutely no storage space for anything. Luckily, we have an empty room for guests and we have those closets to store our suitcases, etc, so it works. The kitchen is much too small to do extensive cooking, so we eat out...alot! and make simple meals at home. We have no oven, well, they do consider the microwave an oven, but it sounds like it is cooking more on the outside, than the inside. This Serviced Apartment, does not have a maid's quarters area, although I have seen a couple that do in other buildings. Therefore, we depend on the cleaning staff here to clean and change the linens. It's great! I have all the amenities we could ask for in looking for a place and we don't have to supply our own tissues, dish detergent or soap. The location couldn't be better. So, I ask myself now, after being told by so many that we should definitely push to get out and into a regular house/condo ~ why? Well, I guess, most places would have more space, would most likely be updated and a bit newer and we wouldn't have to say goodbye every 30-days, but I am content with the ease of everything here, for now at least. Ask me again in 9 months and there could easily be a different story! I wish we could be 2 places at the same time, sometimes! We were looking forward the 2011 Singapore Grand Prix race, but turns out, we have to be in the U.S. that weekend. We are thrilled to go back to the U.S. to see family and friends. 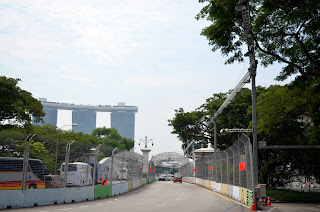 As well as, celebrate a few weddings, but we will have to find a big screen to at least, see some of the race through Singapore. The fences and lighting have been going up for weeks already and the race isn't for another month. Seeing it all happen really makes us want to get tickets for next year, or find another race before this season is up. We have never been to a Grand Prix, but have experienced Nascar and loved it! 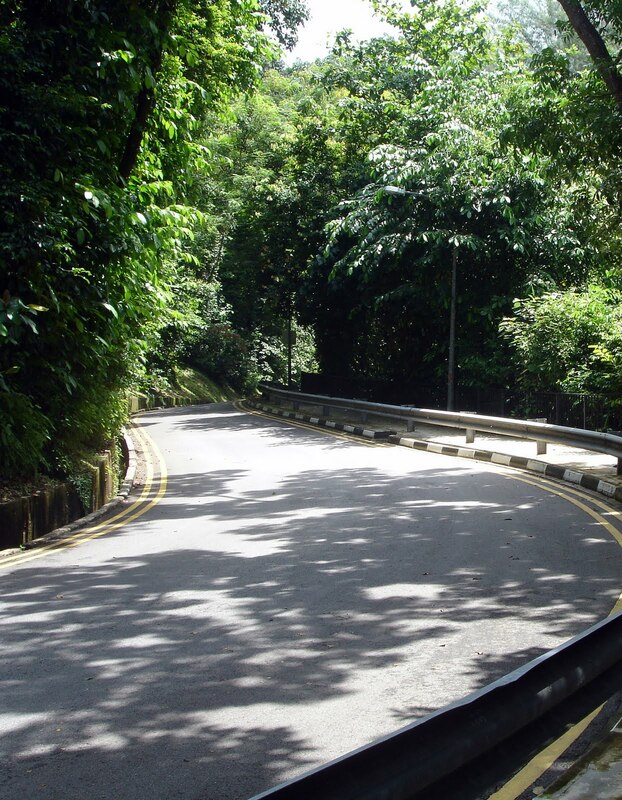 We can only imagine the excitement from a street race through the city! 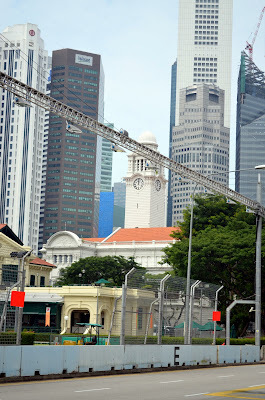 Over the bridges and through the city, to the finish line near Marina Bay! The race will have an incredible back drop through the entire circuit! Not to mention some incredible bands playing live! 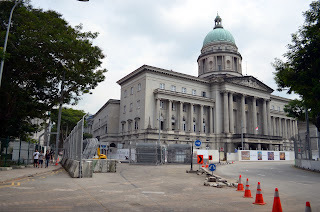 We have driven and walked by this magnificent cathedral several times, since our arrival in Singapore, but haven't had the time to explore it, until today. Perched in the center of the city, with views of sky scrapers, Marina Sands, the durian shaped Esplanade, this cathedral looks a little out of place and very intriguing historically. Holding weekly services in English, Mandarin, Tagalog, Cantonese, ﻿Bahasa Indonesia and Myanmar, this diocese is very well rounded and open to the public. 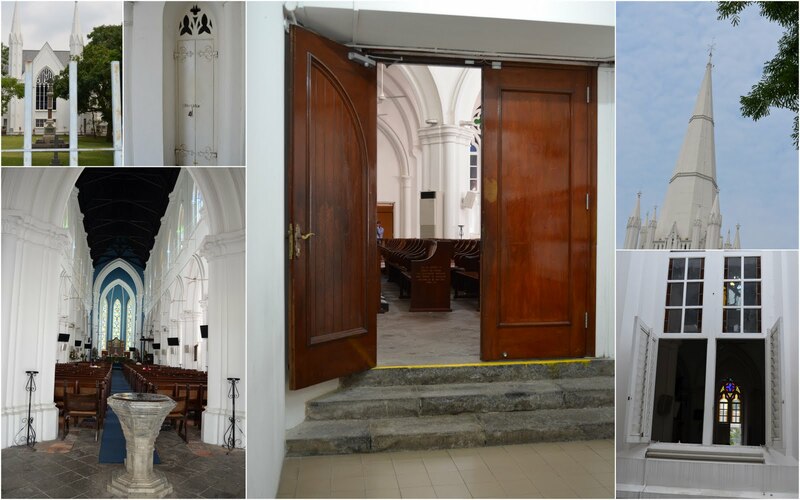 "1856 WAS A TURNING POINT FOR THE ANGLICAN CHURCH IN SINGAPORE. 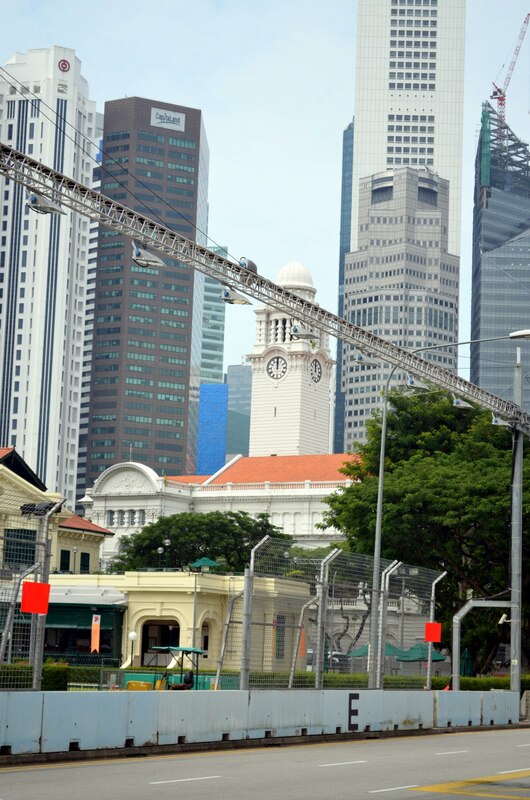 It was the year when it began the all important task of changing from being a British Christian community to a church that would seriously take the Gospel of the Lord Jesus Christ to Asians who were flocking to Singapore seeking a livelihood." 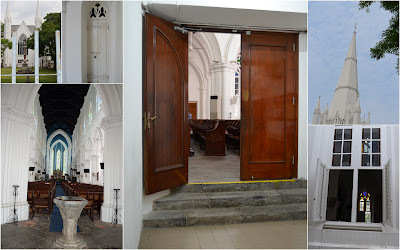 (From the Cathedral website http://www.livingstreams.org.sg ). Today's religion is mixed in Singapore, but the most followed religion is Buddhism. Followed by Christianity, Islam, Taoism and Hinduism. “Of course you can! 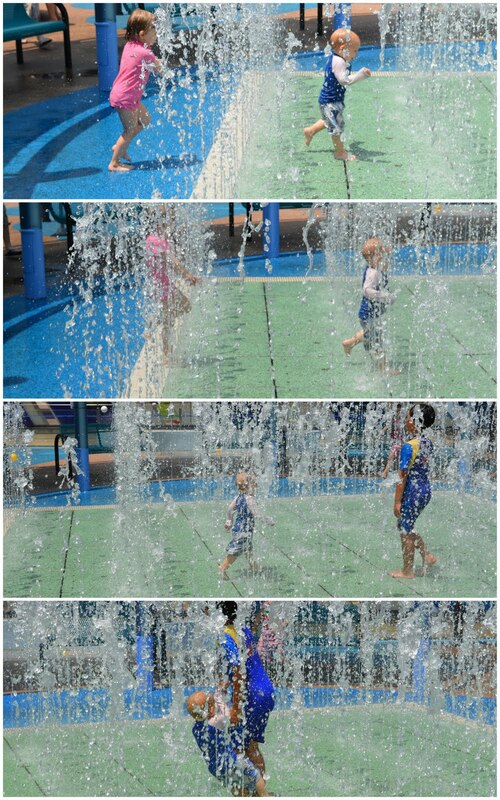 We do live in Singapore and there is a water area for kids everywhere you go.” Including some of the shopping malls. No joke! So, off we go with our backpack filled with swimsuits, a towel, lots of snacks and our water bottles. 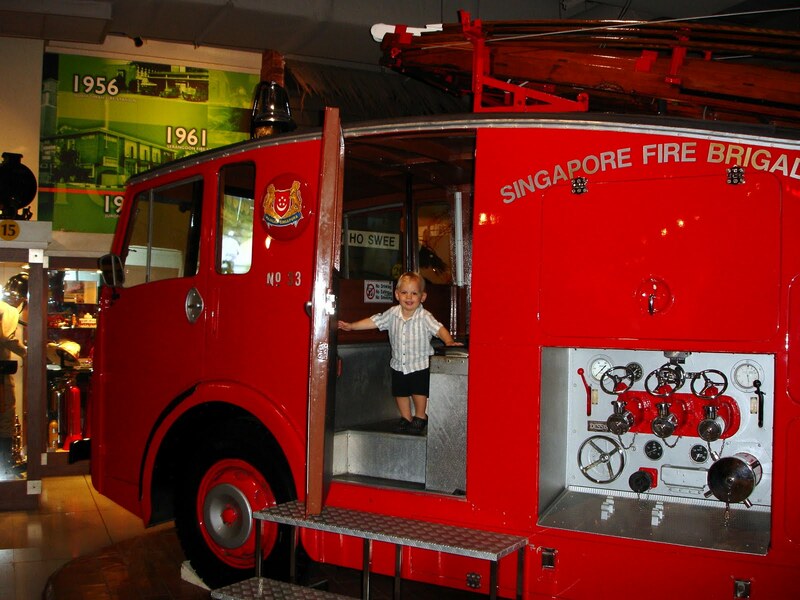 The Science Center is about a 20 minute drive in the Jurong East area. Without fail, I had 2 sleeping angels in the backseat as we arrived. But, as soon as we walked up to the front ticket counter and they saw the busloads of school children on field trips and the water park, they perked right up. I found the facility to be a bit of a maze, with TONS of things to do, touch, see, experience, buttons to push, pots to bang, balls to throw and things to climb ~ PERFECT! Since we paid extra to see the temporary Shark Exhibit, which included the 3D Planet Shark movie, we hit the movie right away. The theatre the show is in, reminded me of an old fashion movie theatre with the roll down white screen on stage in front. The show was….good. Definitely saw sharks and the kids were great through the entire 40-minutes, but we were all ready to go explore by the end. Riley, wouldn’t wear his 3D glasses, so he was probably a little sick at the end from watching a blurry 40-minute show! 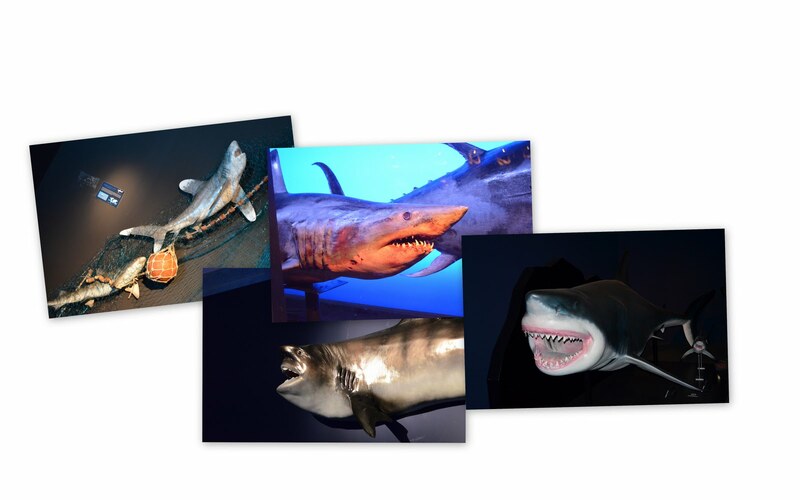 The rest of the exhibit was full of different types of sharks! and clips from the old movie JAWS! 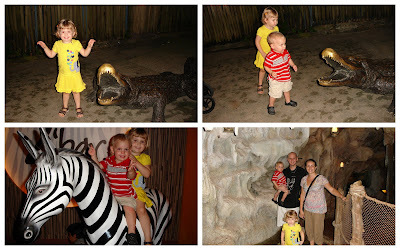 The kids especially enjoyed Discovery Zone and Waterworks. Little Miss M is not a fan of heights! She must get her caution from her dad's side of the family :-)﻿ So, when she followed her new friend into this tree, I was so proud of her! Both feet off the ground and still smiling...well, until someone would try to push by her anyway. This tree was the perfect tree for her ~ low to ground, a lot of big branches to crawl around on and no little twigs to get scratched. So different from the trees we have in Minnesota! We finally made it to the famous Raffles Hotel for the original Singapore Sling! The hotel is a much larger complex than I had thought and there are actually a few different bars to get a Sling within Raffles, but “the place” to experience this sweet alcoholic drink is at The Long Bar. The Long Bar is a relaxed atmosphere serving complimentary peanuts at each table, and the teak-wood floor is full of empty shells. It seemed most people coming through the bar were tourists, each ordering the tall Singapore Sling. Kevin and I each had 1 drink, ate some complimentary peanuts, asked for the check and S$60 later, we were trying to stuff as many peanuts into our pockets as we could to get our moneys worth from the overpriced beverage! Now, I know why the bar is full of tourists. Regardless, it was worth the experience and the facility itself is a historic place. Apparently, Singapore’s last tiger was killed underneath its billiard room in the 1920s. The Long Bar played host to Ernest Hemingway, Somerset Maugham, Rudyard Kipling, Noel Coward and more. The old fashion ceiling fans are still in place and working! The floor is full of Peanut shells ~ a strange sight in a such a clean world! 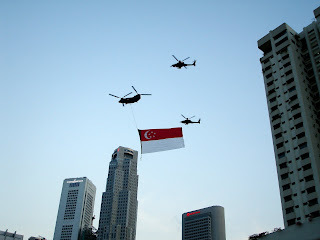 August 9th, 2011 Singapore's 46th Birthday! 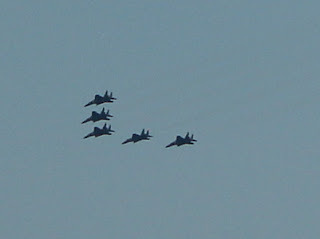 The picture above, was taken a couple weeks ago, during one of the rehearsal shows. A very impressive show and display of fireworks! It's hard to believe that the country puts on such a huge show for 6 weeks leading up to the actual celebration. All just as impressive as the actual day itself. 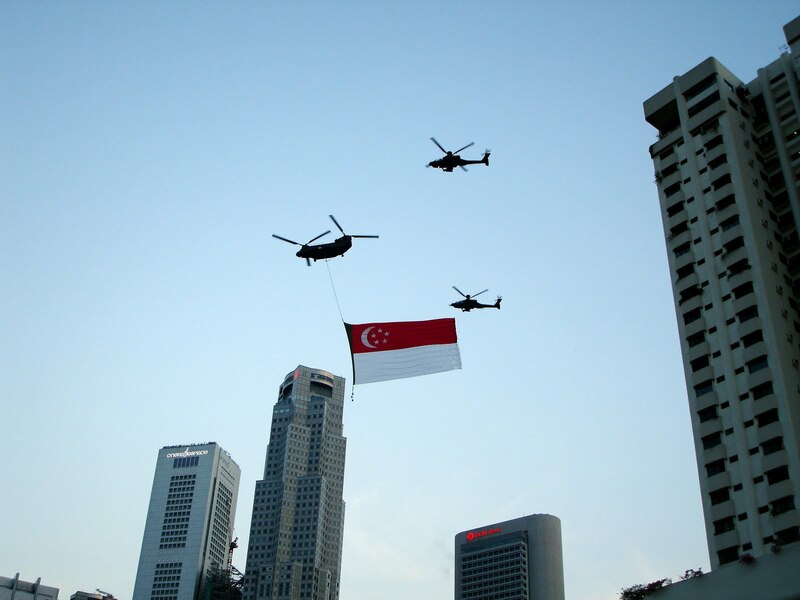 Singaporeans are very proud people, and they have much to be proud of. This tiny city-state-country-island is a wonderful place to live and raise a family. They keep it very clean, safe, educated, but not so much affordable! This country is in the top 8 Most Expensive Places to live in the World. It has been a shock to see the price differences on everything here. The zoo at night gives a completely different perspective! A little creepier than walking through a Halloween haunted trail, but we all really enjoyed the late night. Next time, I will bring a flashlight and maybe put a glowstick around the kids necks. It is really dark, quiet and there are some free roaming animals, that can take you by surprise. Fruit is hanging throughout the park in trees, to attract many varieties of very large (Flying Fox) and some small, bats. They came extremely close to our heads, unexpectedly, and made us duck for cover many times. At one point, we were exploring the cave trail and Kevin decided to take Makayla through a short detour off the trail. Called me back to take their picture, in the cave background, and all I could see were bats swarming his head! He looked up, said a few curse words, while trying to run out of the bat nest and said he noticed some fruit hanging around, but didn't think anything of it ~ next time he will! 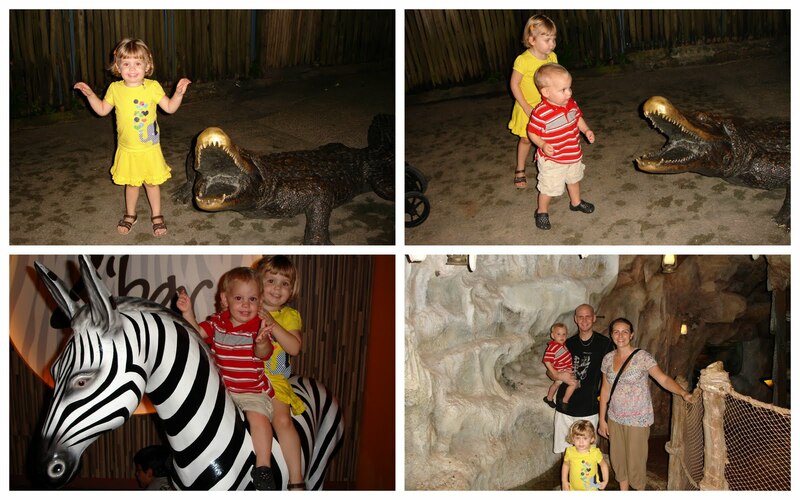 The Night Safari has walking trails, abou﻿t a 45-minute tram ride and a couple different animal shows. We missed the shows, because the kids were just too tired to continue, but we will hit them first next time! The animals, are really active at night. Roaming Tapirs, different types of deer, Fishing Cats and different Leopards, Tigers and Lions peering out from the trees...kinda creepy! Even the elephants and giraffe's were moving around. Riley's favorite animal of the night, the Tiger! Makayla, still stuck on the elephant, but became very upset with us, when we wouldn't pay $10 for her to touch the Boa Constrictor. Last time she was close to a big snake, she freaked out and ran away. People have been raving about all of the Indoor Play Gym's throughout Singapore, since the very 1st day I arrived here. I was taken to tour a couple of them, during our pre-move trip in December. Taken again, during the school-finding tour in March. Every person I talk to mentions them and says how great they are for the kids. I could only nod my head and pretend that I agreed, while thinking how terrible they look to me, through the window. I go outside and sweat 5 pounds off my dehydrated body, trying to entertain the kids in an outdoor park, instead - why? Coming from a place that takes advantage of every minute the sun is shining outside and it's warm enough to enjoy, this is a playday for a very cold, January day. I'm talking a day, that you can't go outside, because it is well below zero, with even a colder windchill ~ Really Cold! 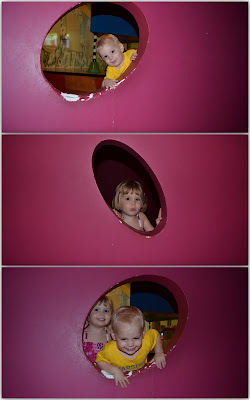 Typically, the kids would come down with some sort of virus after touching every square inch of the germ-infested place. 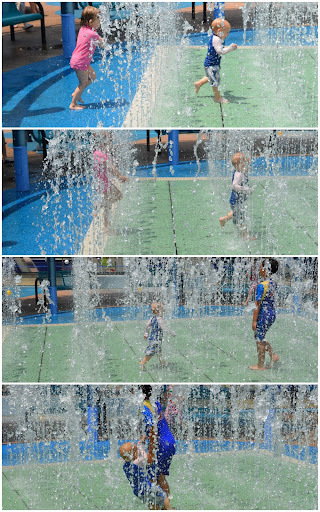 It seems they are used for the opposite here ~ to keep the kids out of the sun and heat. It is so hot, that I sometimes have to talk myself into going outside and getting all sweaty and smelly. But, it isn't dangerous for the kids to be outside in the heat, as long as they are drinking enough water. Whereas, the cold, is at times, too dangerous to take them into. So, I would have no choice in that situation, but to use a place like this to get them out of the house. 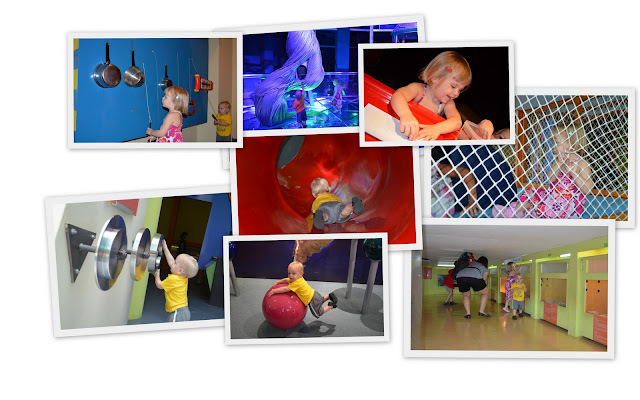 Moving here and seeing how popular and expensive these 1-hour play gym's are, really had me curious. But, not curious enough to pay the entrance fee and try it out, until today. Five months after arriving in Singapore with the kids, we tried our very first indoor play gym and the kids absolutely LOVED it! Conveniently located across the street, next to our everyday grocery store, we walk by this particular play gym several times a week. We knew it was there, I just couldn't talk myself into joining. Today, was for the kids!